Wedding, as most would say, is one of the most important milestones. We all, at some point, have experienced what goes into hosting a wedding, from selecting a vendor that matches our vision, personality and budget to picking out the perfect dress for the bride. From a photographer that catches this perfect moment with his lens, more than one can count on fingers, one has witnessed all those and much more. This is where WedAmor steps in, an application which solves all problems related to online wedding planning. This software product of Erudite Software &amp; Learning Solutions, was conceptualized in Jan 2016 by two friends from IIT Delhi, Abhay Negi and Raj Bahadur. It aimed to solve all the wedding related problems and make wedding planning a seamless process. Abhay and Raj plan to serve this fast-growing market and help people to create remarkable memories which they would cherish for the rest of their lives. In this agile million dollar industry, many players have stepped up and online platforms are revolutionizing the wedding experience of every bride and groom. WedAmor plans to be an aggregator of all services related to online wedding planning. Its recommendation engine improves the suggestions based on the user profile and social interactions that help it to stand out, as it aims to create a perfect match between couples and vendors, which is the backbone of a wedding experience. It has services ranging from guest list management, social recommendation based vendor management and gift management, strategizing planning and smart budget management. It provides a full-fledged wedding planning platform with personalisation and customization options for the bride, groom and guests. You could be a professional wedding planner, a bride or groom, even a close relative who act as pseudo-planner. WedAmor is going to be your wedding messiah, helping you to smooth out the processes. This online wedding planning app is able to create some buzz only within months of its inception. You can check out their website here, where you can grab some awesome content if you’re about to be married. Their mobile application is under development and will soon launch off to a valuable customer experience. 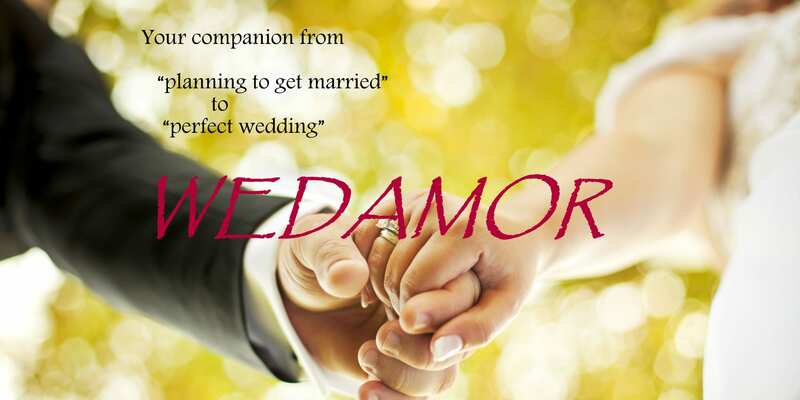 As the wedding planning process is jumping leap and bounds from a traditional approach to a more technical and modern approach, WedAmor fosters great potential and promise to revolutionize this scattered and unorganized wedding industry and might come up as a reliable brand name by helping couples and their families to make not arrangements but memories.